You don’t have to wait until Friday (Black Friday) to start your holiday shopping, you can start NOW! 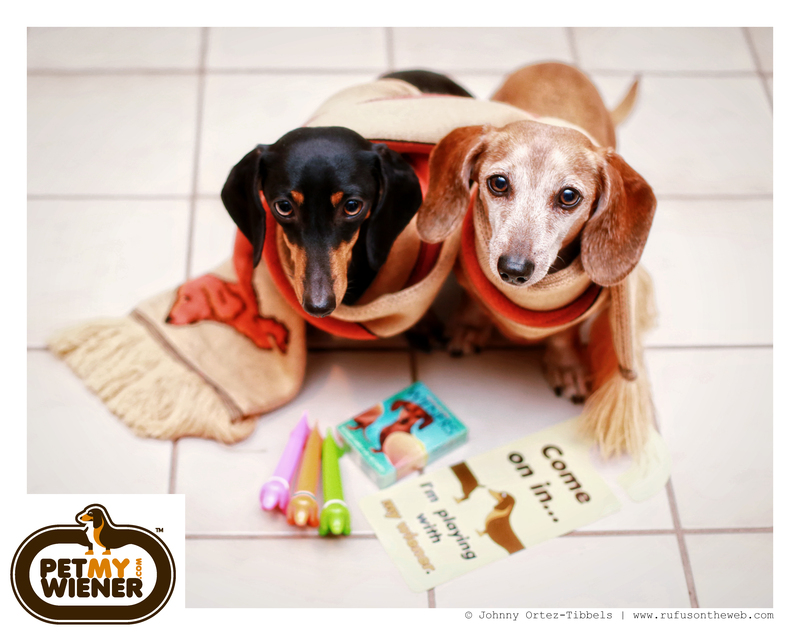 As mentioned previously, we have partnered with our friends at PetMyWiener.com for a limited promotion. BUY NOW using promo code RUFUS and you’ll receive a 5% discount and our charity DOGS will receive 5% of total sales. It’s truly a win / win situation. The opportunity allows us to thank our friends for their loyalty and continued support, and you’re able to be philanthropic while getting some fun holiday shopping done. 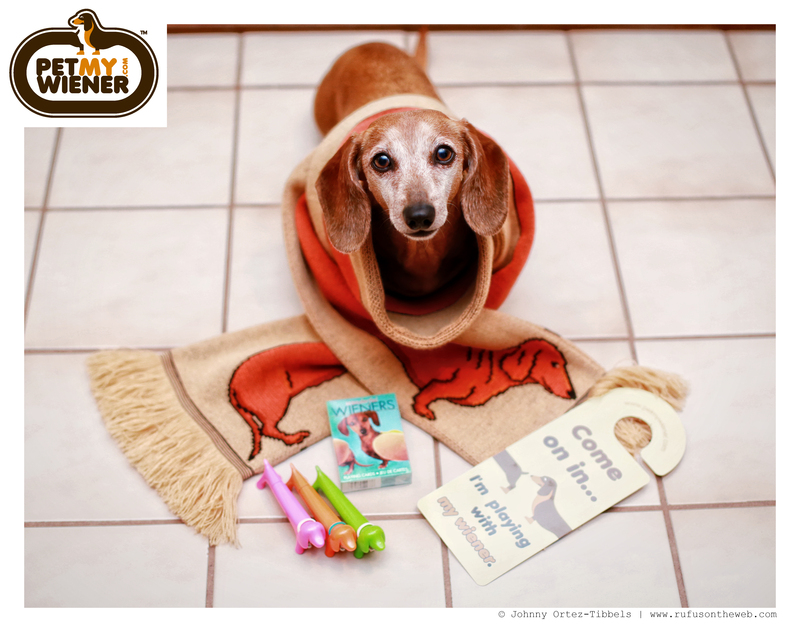 We’re big fans of PetMyWiener.com and featured here are a few of our favorite gifts: Red Smooth Dachshund Scarf, Do Not Distrub Dachshund Door Hanger, Dachshund Playing Cards and Dachshund Dog Pen. Additionally, we’d be remiss if we didn’t tell you PetMyWiener.com has some very affordable price points along with a huge variety of dachshund centric gifts perfect to give or get. Thanks in advance friends for the support, and let us know which are your favorite finds on PetMyWiener.com; one could browse the site for hours. The dachshund car decal is another favorite of ours. This entry was posted in Emily, Rufus and tagged #ADachshundsLife #HappyHounds, #black and tan dachshund, #dachshund, #holidayshopping #holidays, #red dachshund, #WienerDogs #HotDogs, doxies. Bookmark the permalink.